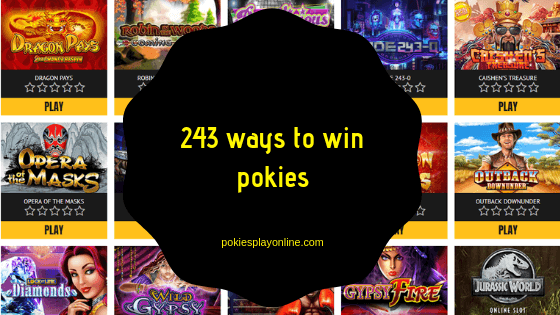 Home » Answers to Common Questions » What are 243 ways to win pokies and where can I find them to play with real AUD? 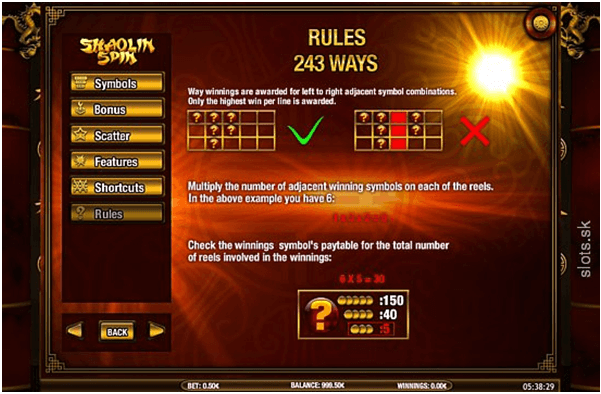 243 ways to win pokies are a type of pokies games now commonly found at online casinos to play in real time or for free. In this pokies you get to win by matching symbols from left to right across the reels without any restrictions on where those symbols are placed on each reel. While in classic and old pokies machines symbols appear on predetermined pay-lines in order to trigger wins. In a 243 Ways pokie, pay-lines are no longer relevant. Why they are called 243? Well these pokies derive their name from the number of possible winning combinations on the reels. On a five-reel game with three symbols displayed on each reel, there are 243 possible pay-lines and since you can win on any of them, that means you have 243 ways to win. When you play at these pokies you will find that they cost just a few cents; but this doesn’t actually reflect the cost of each spin. The minimum bet is often something in the range of 20 or 30 coins. You then have the option of playing at different levels multiples of that minimum amount that will increase your potential winnings in turn. This means that a typical 243 Ways pokies can cost anywhere from less than a dollar to $10 or more, depending on the game and the options you’ve chosen. As 243 Ways pokoes give players more ways to win and you enjoy winning as often as possible. This is because there are so many potential winning combinations on each spin, you’ll often find yourself winning multiple prizes on a given spin. Though each prize is small, the overall win can be quite large. Also as a players you will have a lot of action. While some machines may offer 50 or more pay-lines, paying for all of them can quickly become costly. A 243 Ways machine allows you to get even more action than normal at a fraction of the cost. There are many 243 pokies to play at online casinos for free or with real money. 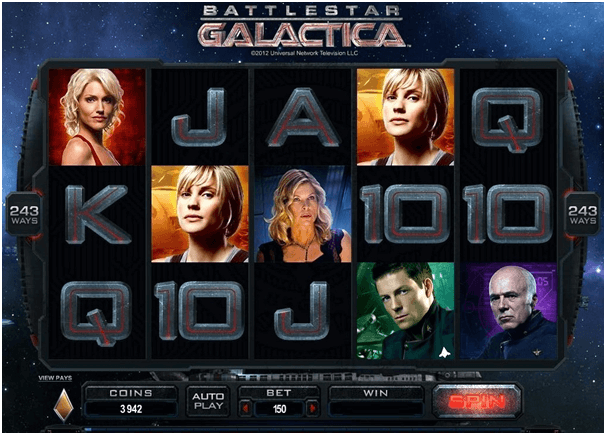 These games are powered by top notch brand of pokies like Microgaming, Playtech, NetEnt, Betsoft, RTG and many others. Some of the best 243 pokies you can play are given below. This pokis game is based on the television science-fiction classic. You take on the role of the Colonial fleet, fleeing from (and sometimes fighting) the Cylons while interacting with many of the most popular characters from the program. Some RPG-inspired features even allow you to gain experience, level up, and unlock new photos and videos from the series during the game. 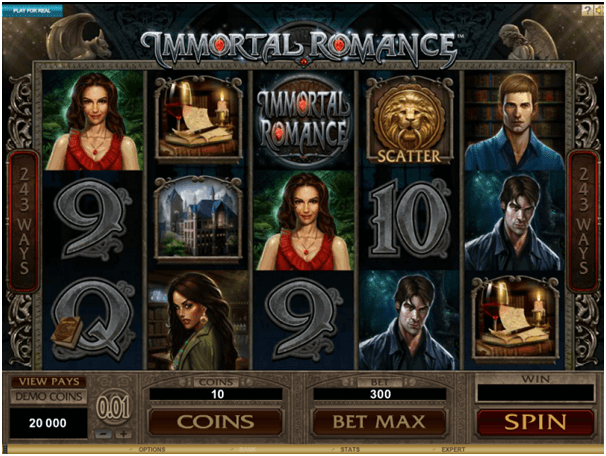 Here the vampire romance genre combines everything audiences worldwide have loved about Twilight, True Blood, and other vampire stories with great pokies action. With four different bonus rounds, a rich cast of characters and some pop music written just for the game, you’ll get sucked into the story and the huge jackpots you can win. 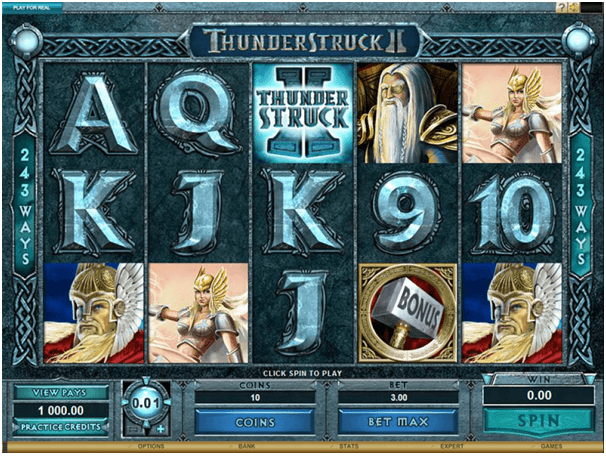 The sequel to the classic Thunderstruck slot game not only built on the Norse theme from that game, but was also one of the first highly successful 243 Ways games. Filled with the gods of legend and featuring a number of different free spins features, this is one game that every casino player should try. Besides these some of the new 243 pokies you can enjoy are Dragon Pays pokies from Novomatic, Robin in the woods by Spieldev; Bootylicious by Spin Games, dragon riches and many others. Finally note that 243 ways to win pokies games tend to award numerous smaller prizes on any given spin. If you like big jackpot prizes, then you can try other pokies to play for fun or with real money. Which French Casinos Can’t Be Missed?